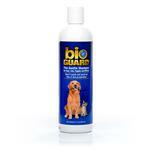 Do you ever wish you could wash your dog somewhere besides your own tub, and leave the mess? Well you're in luck! DIY dog washing facilities will be right up your alley. Learn how to use them. Bath time can be great for bonding with your dog, but doing it at home can be a hassle. Nowadays many groomers and pet supply stores offer a DIY dog washing facility; a place where you can use professional level equipment and supplies to wash your dog yourself. Less expensive than going to the groomers, and less of a headache than washing fido in a kiddy pool in the backyard, the DIY dog wash can be your happy medium between cheap and easy. A wash station that has been wiped down and is clean of dirt and other dog hair. Special tubs designed for dogs of all sizes, raised to avoid back strain. Clean towels and a water-proof apron to cover yourself with. 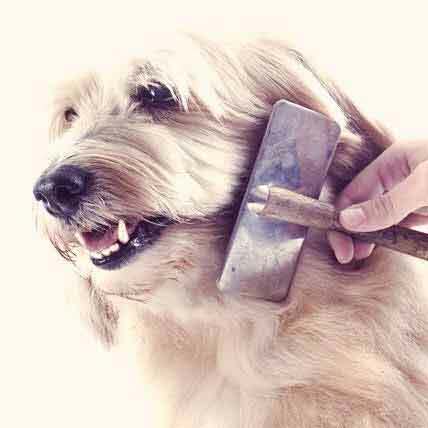 Clean grooming tools like an ear cleaning kit, nail trimmers, coat scrubbers, combs, and brushes. 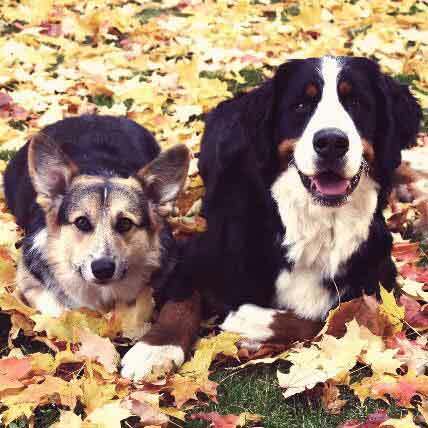 Shampoo and conditioner options—you’ll want to select the best type for your dog’s coat. A staff member on site to explain the washing equipment and provide consultation. Some self-serve grooming facilities might request proof of current vaccinations. 1) Your dog should remain on their leash and under your care throughout the wash.
2) Cover up with waterproof aprons. 3) Lead your dog into the bathing tub and tie the leash end around one of the anchors provided. 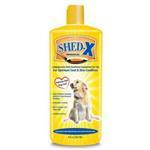 4) Check that your dog’s fur doesn’t have any matting, which should be worked out prior to washing. 5) Check the water temperature of the sprayer on your arm – it should be warm, not hot. 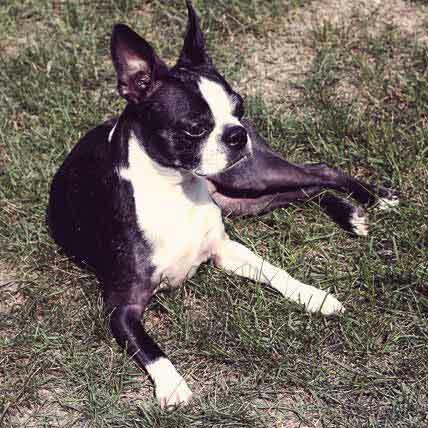 6) When the water is the proper temperature, thoroughly wet your dog’s body using the hose attachment. 7) Using a grooming mitt (or your hands) and the shampoo you’ve selected, gently lather the shampoo onto your pet’s body, paying special attention to any messy areas like paws and the tail. 8) Rinse the shampoo out and repeat with any conditioner as desired. 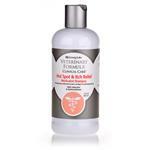 9) Using cotton wipes and ear cleaner, gently clean around the outside of your dog’s ears. 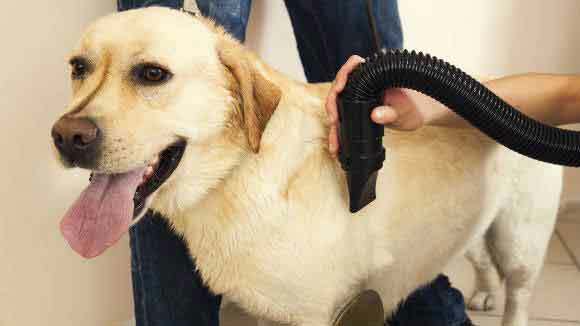 10) Use low temperature air dryers to dry off your dog’s coat. A dry towel can also be used to gently rub down your pet. These steps will have you washing your dog like a pro! Consider rewarding your clean, happy dog with a treat after each well-behaved wash.
Want to see a dog bath in action? Watch our video on How to Wash a Dog of Any Size. Dogs are like kids we must take proper care of them.. I prefer some professional dog wash service to clean my dog because their safety is must. 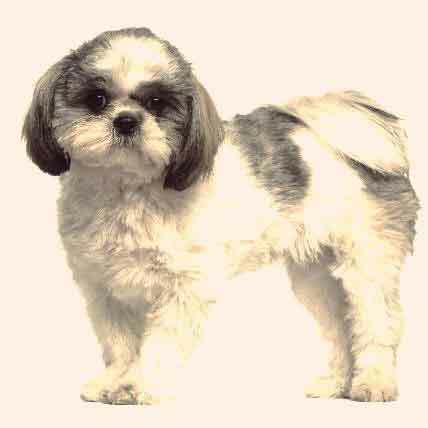 I used icleandogwash service and fully satisfy the way they treat my dogs.